Since the liability shift in October of 2015, if a guest uses a counterfeit or stolen chip-enabled payment card in a card-present transaction at your business, and you do not use an EMV card reader to process the payment, you are liable for the chargeback and any related claims. To reduce your liability risk, consider upgrading your software and card readers to support EMV: a fraud-reducing technology that can help protect your business from financial loss if a criminal uses a counterfeit or stolen payment card in your restaurant. EMV technology is becoming the global standard for credit and debit card payments. It starts with a credit or debit card with an embedded microprocessor chip that stores and protects cardholder data. These are the standard in most of the world, and as early as Oct. 2015, 70% of US cardholders had at least one chip card. The primary purpose of an EMV chip card is to help reduce card theft by validating the identity of the user. The user’s account information is securely stored on the chip. During an EMV transaction, the user’s identity is validated via either a unique PIN code or signature. One of various security measures you can take to help reduce payment fraud, EMV applies only to card-present transactions. It does not take the place of PCI compliance, nor does it protect card data from hackers or data breaches. There are two types of EMV cards: chip and PIN, or chip and signature. While these cards still have a magnetic strip that can be swiped for payment through a traditional card reader, an EMV-capable card reader is required for EMV transactions. Beyond the liability risk, delaying the switch to EMV may also impact dine-in or carryout sales. As banks educate consumers on the security of chip transactions; eventually your customers may become wary of businesses with less secure card readers. EMV technology combats counterfeit fraud through authentication of the cardholder. The new EMV card readers also support Near Field Communications (NFC), for contactless payment and Apple Pay. While EMV is not yet a PCI requirement, the payment brands have introduced programs that could waive your annual PCI-DSS audit if you process more than 75% of transactions through an EMV certified device. With Pay@ the Door, now you can process even delivery orders at lower card-present rates. SpeedLine is EMV-ready. Order your EMV PIN pads in the SpeedLine Store, or contact us to get started with EMV Pay@ the Door. SpeedLine user? 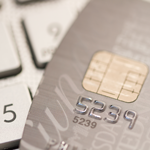 Visit the Customer Support site for details on PCI and EMV.